Janmarie has a deep knowledge of the Beirut apartment market and what clients need. She was extremely professional and most important, did not waste anytime with apartments that do not suit clients. Janmarie was very pleasant and a smooth operator with both landlords and clients. “Janmarie Haggar has a remarkable ability to grasp immediately what the client is looking for in their difficult search for a place to live in a new country. Unlike many real estate agents, she does not waste the client’s time by showing places that do not match their expectation. She was not only extremely professional and competent in her work, she also took personal interest in showing me the ropes when I first moved to Beirut. She helped me find a plumber and carpenter, someone to drape my apartment, and even recommended the best hair salons, a good doctor and good restaurants. “Moving to Lebanon was a very challenging decision. Having no one to help on the other side was quite frightening. Yet, lucky enough, I met Janmarie and that was the highlight of my first week in Beirut. She was patient, very friendly, and extremely helpful. She knows Beirut like the back of her hand, and she knew exactly what I wanted. Not only is Janmarie an excellent real estate agent, she is also a great reference and a delightful character.” – Mia K.
“I fell in love with Lebanon five years ago and in spite of the fact that I speak no Arabic the wish of retiring in Beirut was overwhelming. That day has come! WelcomeBeirut.com is the best [Lebanese] real estate site on the net. It gave me a global look of what is on the market in the Beirut area. For someone who lives outside of the region, being able to see inside the apartments with the prices is indispensible. Janmarie’s organized approach is the state of the art! She knew my time was limited and by the end of day two, I found what was perfect for my needs. But moreover, her humanity goes beyond a signed contract, she assisted me in all first steps of living in Beirut. Through this , I was able to move in, understanding and accomplishing all the first steps. “I took a leap of faith and rented an apartment in Beirut online without any real knowledge of the different parts of the city. I was relocating from New York City to Beirut with my 5 year old daughter. I corresponded with Janmarie via email and she understood my concerns and my needs. She guided me, even telling me no to certain areas I was looking at, and I could not be more pleased. I went directly to the apartment and signed the contract and it was that simple! 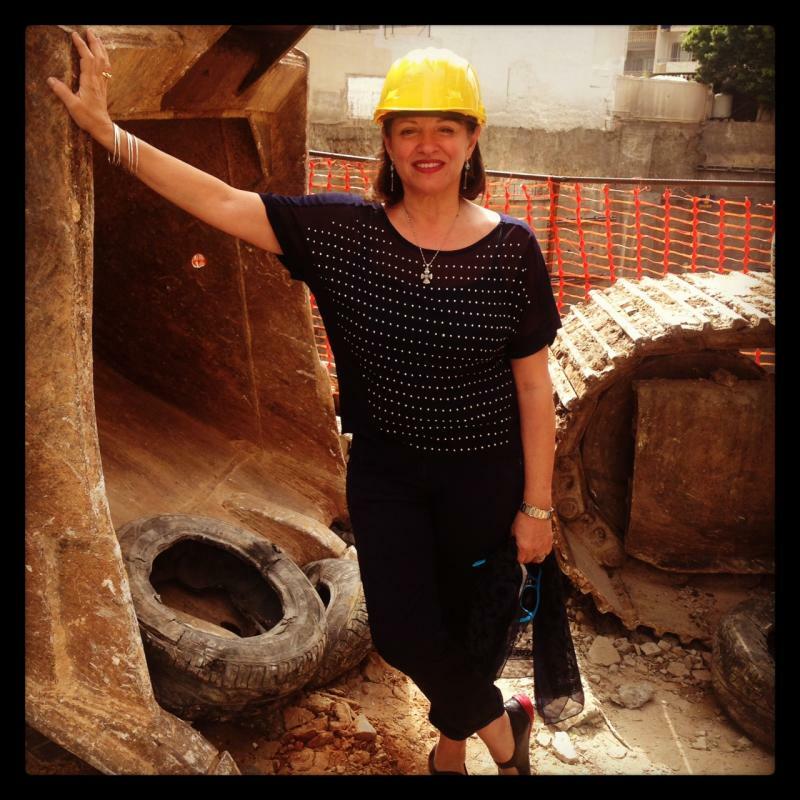 More than a real estate agent, Janmarie has an incredible feel for Beirut. She took the time to explain the way thing work and what to expect, and very kindly gave pointers and locations, even a great school for my child. Although I was a lowly freelance journalist with a small budget when I arrived to Beirut, Janmarie took me under her wing. She escorted me to various one and two bedroom apartments around town, helping me negotiate prices with landlords. After a few days of searching, she found a great one bedroom apartment at a very affordable price in a neighborhood I wanted to live in — with a view of the sea AND the ountains. It’s been my home for the last three years, thanks to Janmarie. Janmarie found my dream home in Deir al Qamar, one of the most picturesque villages in Lebanon. She also found my high ceiling sea-view apartment in Clemenceau, which was an investment property for me. After renovation she also rented it out for a very reasonable price. In addition, she found me an apartment on the blueprint in the heart of Hamra. Her greatest attribute in my opinion is her professionalism as a Westerner, always being on time and talking directly, and at the same time, her ability to communicate in Arabic with all of the doormen in the buildings. She understands Lebanon and can help anyone find a home and acclimate quickly in this special and very beautiful country. Many more references available on request!